Foodies, today is yet another round of food review. Last week we went to the new aesthetic cafe that has been the talk of town lately — Fuku Eatery & Desserts. We did a video of Fuku Penang and we thought hey why not do a round-up review as well? Unfortunately, our eyes were on the food and ambiance we totally forgot to take pictures. 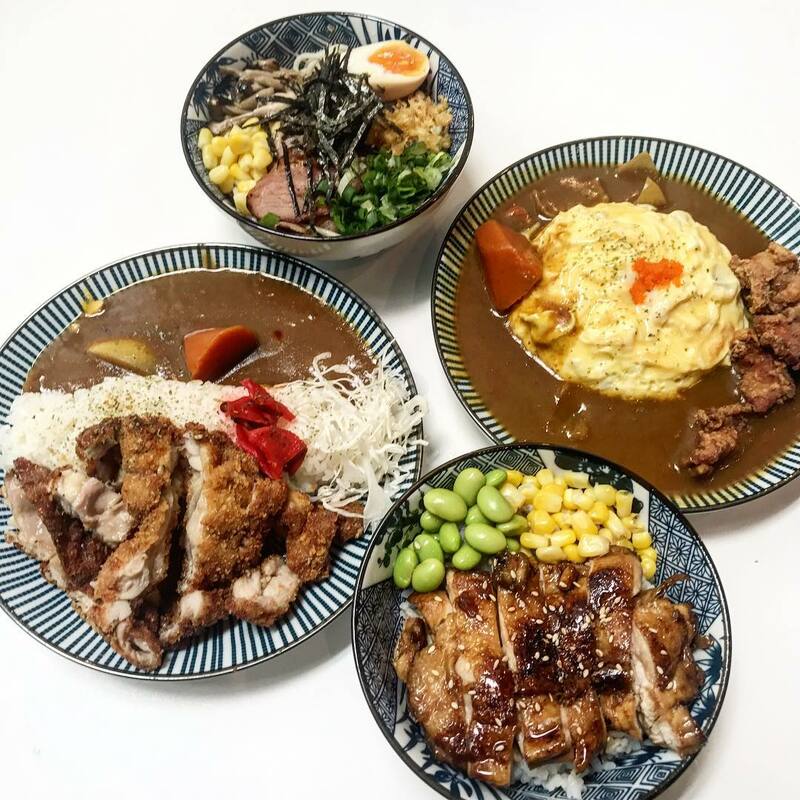 We do have some aesthetic credited photos to show you though, so let us walk you through Fuku Penang. First Off, Where and What is Fuku Eatery & Dessert? Nestled in Mano Plus, a nostalgic heritage building turned into an urban shop selling contemporary and aesthetic crafted pieces from different retailers. Fuku Penang is a very casual and quaint cafe just beside those little pieces. It serves Japanese inspired menu with a touch of local and modern flavors. Before we show you the ambiance and interior of Mano Plus, let’s give some attention to the food at Fuku Penang first okay? Did we hook you up with the eye-pleasant flatlay? We ordered the Omu Tori Karaage, Smoke Duck Dry Ramen and Kaiju. The Omu Tori Karaage (RM17) is one of the bestsellers of Fuku Penang. Fried raisin and pumpkin rice topped with fluffy, runny omelette. Then curry is poured around, finish off with crispy, tender fried chicken. The curry alone is packed with different spices (Japanese curry are not spicy) strong, yet still very Japanese. When mix with the rice and egg, the combination pairs so well. This is some good omu curry rice we’re talking about. Smoke Duck Dry Ramen (RM13) on the other hand, lacks a bit of wow factor. Though filled with ingredients and toppings, the bowl came in small, like the size of a palm. The ramen is not totally dry, there’s a little amount of broth for you to mix everything perfectly. When mixing, you could definitely smell the fragrant of sesame oil. For the price of RM13, one cannot simply ask for more. Though the noodle was served a bit cold. Another hit item in the menu, Kaiju (RM16). The presentation itself is simply eye-pleasing. Kaiju is basically a premium uji matcha flavoured milk tea, topped with Milo powder and pearl. Presentation wise, very Instagrammable. Taste wise? We thought the matcha could be stronger, though some prefer it to be more subtle. The price is a little steep for a one small glass of drink. Besides things that we ordered, Fuku Penang also has some hot selling sides, like this Okonomiyaki fries. Don’t forget Fuku Penang is also a dessert cafe, their delectable sweet treats are worth trying. The popular ones would be the galaxy cake, matchamisu and crème brûlée. Let the pictures do the talking. Hipster, soothing and peaceful with the overall white theme. Address: (Inside Mano Plus) 37b, Lebuh Pantai, 10200 George Town, Pulau Pinang.